Our range of products include winch machine, conveyor clamp- on sealing system and conveyor glide bar sealing system. We bring here a huge range of Winch Machine (Upto 100 Tonnes Pulling Capacity) suitable for various types of conveyors. These winch machines are made up of excellent quality materials that we have sourced from various reliable market vendors. These machines require no or less maintenance and hence offer great durability. 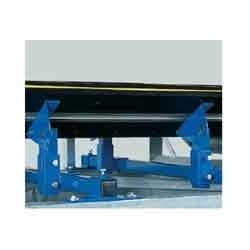 This Conveyor Clamp- on Sealing System is fabricated using optimum quality raw materials and unique methodologies that enhance their durability and workability. This type of conveyor meets increasing demand of warehouses, Sugar industries, Hotels and Malls for loading and unloading. The Conveyor Belt moves between the Head and Tail Pulley. The two pulleys should rotate parallel, so that, the belt moves effortlessly and smoothly. These are made from hi-grade materials that ensure high durability, tensile strength, resistivity to adverse conditions, good trough-ability and flexibility. This Conveyor Glide Bar Sealing System can be used with the existing main line system or a new system. We fabricate these glide bars using high quality raw material. Our offered conveyors are mostly used in food factories for conveying heavy loads. These sealing conveyors are offered to our clients in several specifications of type, size and speed. 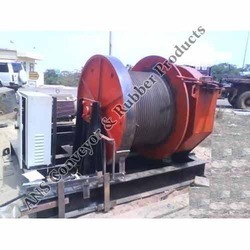 We also undertake customization of these sealing conveyors as per clients’ requirements. 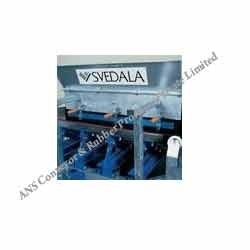 We provide conveyor idlers on this principle only. We can customize idlers according to customer’s requirements. Looking for Conveyor Sealing System ?